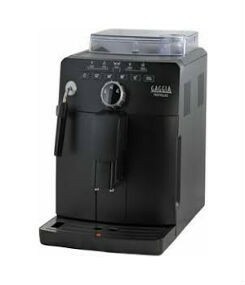 Categories: Automatic Coffee Machines, Home Coffee Machines Brands: Gaggia Coffee Machines. This espresso machine is equipped 100% ceramic grinders. 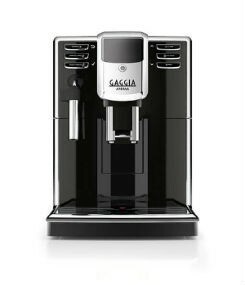 Gaggia uses ceramic grinders because of their consistent grind without overheating the coffee bean for an impeccable espresso. 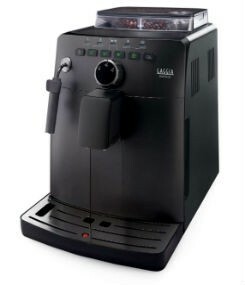 The Gaggia quick heat boiler technology ensures your machine is always ready. Now you won’t have to wait between brewing each espresso, but can prepare coffee after coffee. Preparing a professional cappuccino is easy thanks to the new, patented automatic milk frother with its cyclonic chamber. The auto-cappuccinatore will draw milk directly from a milk carton or jug and froth it automatically in cup. 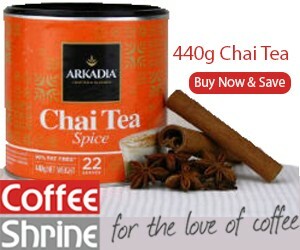 It also delivers hot water for tea. 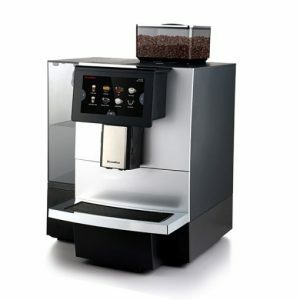 With this coffee machine’s Optidose feature you can chose the amount of ground coffee per cup of Espresso from 7.5 to 10g to personalize the strength. 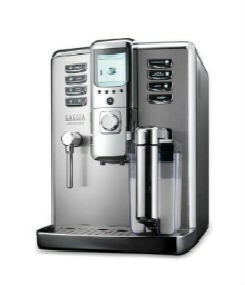 Thanks to the automatic cleaning and automatic descaling, you are guaranteed a perfect and hygienic Espresso every day and prolong the lifetime of your Gaggia Espresso machine. 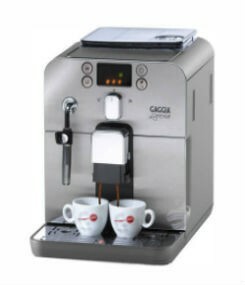 Gaggia machine will drain less than 1kW/h and save you money compared to other espresso machines. For your convenience, you can put the drip tray and milk frother or milk carafe in the dishwasher. This will save time and ensure a hygienic cleaning.